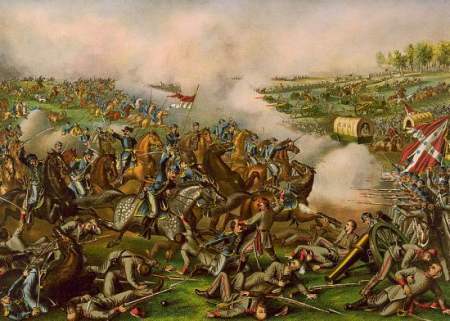 The Battle of Five Forks was fought on April 1, 1865, southwest of Petersburg, Virginia, in Dinwiddie County, during the Appomattox Campaign of the American Civil War. The battle, sometimes referred to as the "Waterloo of the Confederacy," pitted Union Maj. Gen. Philip H. Sheridan against Confederate Maj. Gen. George E. Pickett of Robert E. Lee's Army of Northern Virginia. Pickett's loss at Five Forks triggered Lee's decision to abandon his entrenchments around Petersburg and begin the retreat that led to his surrender at Appomattox Court House on April 9. Hold Five Forks at all hazards. Protect road to Ford's Depot and prevent Union forces from striking the Southside Railroad. Regret exceedingly your forces' withdrawal, and your inability to hold the advantage you had gained. Pickett's troops built a log and dirt defensive line about 1.75 miles (2.8 km) long on the White Oak Road, guarding the two flanks with cavalry. Sheridan's plan of attack was to pressure the entire line lightly with his cavalry troopers, pinning it in position, while he massed all of the V Corps, under Maj. Gen. Gouverneur K. Warren, on the Confederate left flank. Faulty maps and intelligence led Sheridan to believe that the enemy's left flank was much farther east than it actually was. 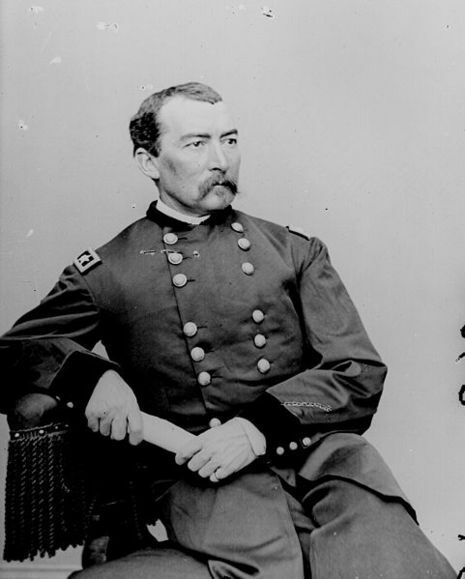 Muddy roads and tangled underbrush slowed the Union approach, and Warren was not ready to attack until about 4 p.m. Sheridan blamed Warren's personal leadership for the delay. (Sheridan had a poor opinion of Warren from earlier in the campaign and had received confidential permission from Lt. Gen. Ulysses S. Grant to relieve Warren if he saw fit.) But Sheridan's own cavalry had similar problems and ended up with little action in the battle. Sheridan's attack planned for Warren to advance in a two-division front with the third division following in reserve. 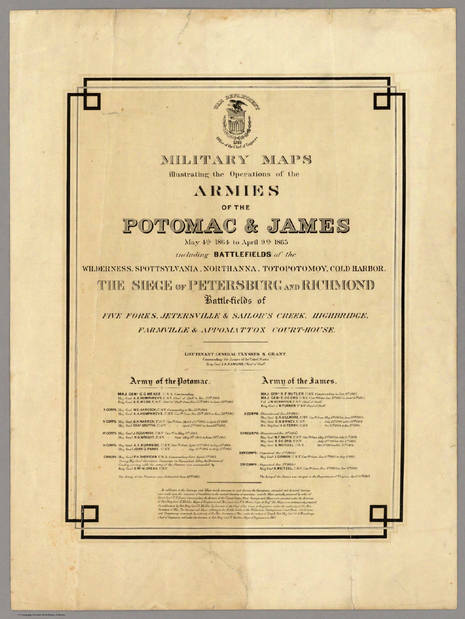 The right front division, under Maj. Gen. Samuel W. Crawford, was to strike at an angle near the end of the enemy's works, and the left front, under Maj. Gen. Romeyn B. Ayres, was to strike the line head-on. But because of the faulty intelligence, the real flank was well to the west of where Sheridan thought, so Crawford's division missed the line completely as it moved forward, and Ayres's men were subjected to enfilade fire from the left as they brushed past it. The two Union divisions floundered in confusion as they frantically attempted to reorient themselves through the heavy thickets of underbrush. 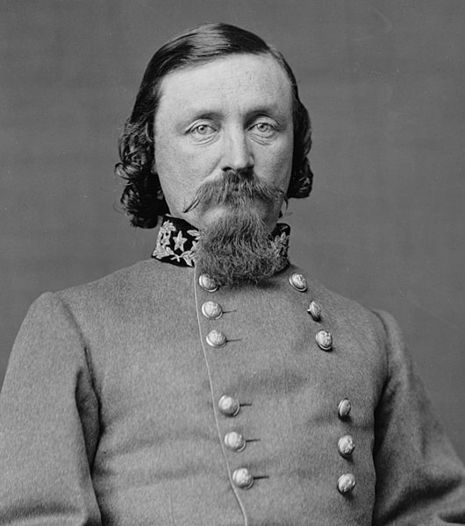 The reserve division, under Maj. Gen. Charles Griffin, halted rather than add to the confusion. Warren, who chose to remain in a central location, sent all of his aides galloping off with messages to reorient the attack, but they were ineffective, so he rode out to take personal command. Meanwhile, Sheridan, riding with Ayres's vanguard, personally led the charge that breached the left flank of Pickett's line, an exploit that has been depicted heroically in paintings and lithographs of the era. As the Confederates attempted to organize a new defensive line, Griffin's division moved in on Ayres's right and attacked. Then Warren ordered Crawford's division to join the fight from the north. Sheridan's cavalry swept around Pickett's right flank but was unable to prevent several Confederates from escaping. However, it was a decisive Union victory, in which nearly a third of Pickett's 9,200 men were casualties. Pickett's unfortunate military career suffered another humiliation—he was two miles (3 km) away from his troops at the time of the attack, enjoying a shad bake north of Hatcher's Run with Maj. Gens. Fitzhugh Lee and Thomas L. Rosser. He had neglected to inform his men of the generals' absence, leaving them leaderless. Atmospheric conditions muffled the sounds of battle sufficiently that Pickett was unaware of the fighting. By the time he returned to the battlefield, it was too late. The loss of Five Forks threatened Lee’s best escape route, the South Side Railroad. The next morning, Lee informed Confederate President Jefferson Davis that Petersburg and Richmond must be evacuated, and Grant launched an all-out assault (the Third Battle of Petersburg) on the thinly manned Confederate entrenchments. Union Brig. Gen. Frederick Winthrop was killed at Five Forks, and Col. Willie Pegram, a highly regarded Confederate artillery officer, was mortally wounded. Sheridan was dissatisfied with the performance of the V Corps in the approach to Five Forks, and he relieved Warren of his command. The battlefield is preserved as a unit of Petersburg National Battlefield. 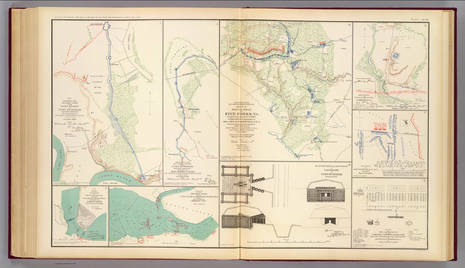 Description:Gen. Robert E. Lee ordered Pickett with his infantry division and Munford’s, W.H.F. Lee’s, and Rosser’s cavalry divisions to hold the vital crossroads of Five Forks at all hazard. On April 1, while Sheridan’s cavalry pinned the Confederate force in position, the V Corps under Maj. Gen. G.K. Warren attacked and overwhelmed the Confederate left flank, taking many prisoners. Sheridan personally directed the attack, which extended Lee’s Petersburg lines to the breaking point. Loss of Five Forks threatened Lee’s last supply line, the South Side Railroad. The next morning, Lee informed Jefferson Davis that Petersburg and Richmond must be evacuated. Union general Winthrop was killed; “Willie” Pegram, beloved Confederate artillery officer, was mortally wounded. Dissatisfied with his performance at Five Forks, Sheridan relieved Warren of command of the V Corps.